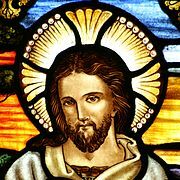 The history of the Christian religion and the Christian church began with Jesus and his apostles. Christianity is the religion that is based on the birth, life, death, resurrection and teaching of Jesus Christ. Christianity began in the 1st century AD after Jesus died as a Jewish sect in Judea but quickly spread throughout the Roman empire. Despite early persecution of Christians, it later became the state religion. In the Middle Ages it spread into Northern Europe and Russia. During the Age of Exploration, Christianity expanded throughout the world; it is currently the largest religion of the world. The religion had schisms and theological disputes that had as result four main branches: the Roman Catholic Church, the Eastern Orthodox churches, Oriental Orthodoxy and Protestant churches. The sources for the beliefs of the apostolic community include the Gospels and New Testament Epistles. The very earliest reports are in these texts: early Christian creeds and hymns and reports about the Passion, the empty tomb, and appearances of Jesus after his Resurrection. There are reasons to suppose that they were written within a few years of the crucifixion of Jesus and came from the Jerusalem Church. 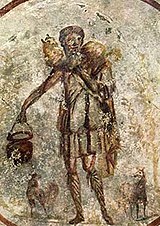 Christianity kept many practices from Jewish tradition. Christianity thought the Jewish scriptures to be sacred and used mostly the Septuagint edition and translation as the Old Testament, and added other texts as the New Testament. Christians professed Jesus to be the God of Israel, having taken human form, and considered Jesus to be the Messiah (Christ) who had been prophesied about in the Old Testament and so was expected by the people of Israel. Christianity continued many Judaic practices: liturgical worship, including the use of incense, an altar, a set of scriptural readings adapted from synagogue practice, use of sacred music in hymns and prayer, and a religious calendar, as well as other typical features: an exclusively male priesthood, and ascetic practices (fasting etc.). Early Christians were subject to various persecutions. This meant even death. Early martyrs included Stephen (Acts 7:59) and James, son of Zebedee (Acts 12:2). Persecutions in larger scale by the authorities of the Roman Empire began with the year 64, when the Emperor Nero blamed them for the great Fire of Rome as the Roman historian Tacitus reported. According to Church tradition, it was under Nero's persecution that the saints Peter and Paul became martyrs in Rome. Several of the New Testament writings mention persecutions and very difficult times. 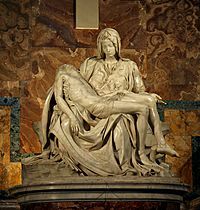 For 250 years there were times when Christians suffered from persecutions, because they refused to worship the Roman emperor. That was seen as treason and punished by execution. But the Christian religion continued to spread throughout the Mediterranean region. In the late fourth century they became the dominant religious force of the Roman Empire. Galerius issued an edict permitting the practice of the Christian religion in April of 311. In 313 Constantine I and Licinius announced toleration of Christianity in the Edict of Milan. 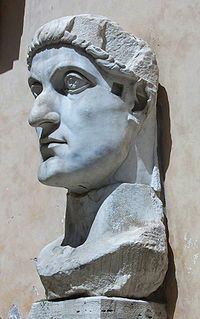 Constantine became the first Christian emperor; he had learnt about Christianity from his mother, Helena. By 391, under the reign of Theodosius I, Christianity had become the state religion of Rome. When Christianity was legalized the Church took the same provinces for administration as the imperial government and called them dioceses. The Bishop of Rome claimed to be the highest amongst all others and chose the title pope. During this era, there were several Ecumenical Councils. These were mostly concerned with Christological disputes. The two Councils of Niceaea (324, 382) condemned Arianism and produced the Nicene Creed to define the faith. The Council of Ephesus condemned Nestorianism and affirmed the Blessed Virgin Mary to be Theotokos ("God-bearer" or "Mother of God"). Perhaps the most important was the Council of Chalcedon that affirmed that Christ had two natures, fully God and fully man, at the same time. That meant that Monophysitism was condemned. The city of Rome was affected very much by warfare in Italy during the Early Middle Ages. When Emperor Justinian I conquered the Italian kingdom of the Ostrogoths he established an Imperial Exarchate in Ravenna, but imperial influence was often limited. Then came the invasion of the Lombards, and Rome had to take care of itself. Thus the popes, out of necessity, found themselves feeding the city with grain from papal estates, negotiating treaties, paying protection money to Lombard warlords, and, failing that, hiring soldiers to defend the city. Eventually, the failure of the Empire to send aid resulted in the popes turning for support from other sources, most especially the Franks. The High Middle Ages is the period from the coronation of Charlemagne in 800 to the close of the fifteenth century, which saw the fall of Constantinople (1453), the end of the Hundred Years' War (1453), the discovery of the New World (1492), and thereafter the Protestant Reformation (1515). The Investiture Controversy, also known as the lay investiture controversy, was the most important conflict between secular and religious powers in medieval Europe. It began as a dispute in the 11th century between the Holy Roman Emperor Henry IV and Pope Gregory VII. The question was who would control appointments of bishops (investiture). The end of lay investiture meant an important loss of royal power, and a loss for ambitious noblemen, for the benefit of Church reform as the pope intended. Bishops collected revenues from estates attached to their bishopric. Noblemen who held lands (fiefdoms) hereditarily passed those lands on within their family. However, a king had more control of lands under the domain of his bishops. Kings would give bishoprics to powerful friends. If a king left a bishopric vacant, he got the money until a bishop was appointed, when he was supposed to repay the earnings. This seldom happened. The Church wanted to end this lay investiture because of the vacant sees simony and other problems. Thus, the Investiture Contest was part of the Church's attempt to reform the episcopate and get better bishops. Pope Gregory VII issued the Dictatus Papae, which said only the pope make or break bishops, or move them to other sees. The Emperor rejected this. With excommunication and a revolt by his dukes, Henry apologized and was forgiven, though the conflict continued. A similar controversy happened in England between King Henry I and St. Anselm, Archbishop of Canterbury. The English dispute was resolved by a deal in 1107, where the king gave up making bishops but did require an oath of fealty. The later Concordat of Worms (Pactum Calixtinum) resolved the Imperial investiture controversy with a similar compromise. The East-West Schism, or Great Schism, separated the Church into Western (Latin) and Eastern (Greek) branches, i.e. Western Catholicism and Eastern Orthodoxy. It was the first major division since certain groups in the East rejected the decrees of the Council of Chalcedon (see Oriental Orthodoxy), and was far more significant. Though normally dated to 1054, the East-West Schism was the result of an long time of disagreement between Latin and Greek Christendom over papal primacy and certain doctrinal matters like the filioque. Bad feelings were intensified by cultural and linguistic differences. The schism became "official" in 1054 when the Pope's legates notified Patriarch Michael Cerularius of Constantinople that he had been excommunicated. A few days later, he excommunicated the legates. Attempts at reconciliation were made in 1274 in Lyon and in 1439 in Basel) but in each case the eastern hierarchs who agreed to the unions were repudiated by the Orthodox as a whole. However, reconciliation was achieved between the West and what are now called the "Eastern Rite Catholic Churches". More recently, in 1965 the mutual excommunications were rescinded by the Pope and the Patriarch of Constantinople, though schism remains. In the early 16th century, movements were begun by two theologians, Martin Luther and Ulrich Zwingli, that aimed to reform the Church. Unlike earlier reformers they considered the root of corruptions to be doctrinal (rather than simply a matter of moral weakness or lack of ecclesiastical discipline) and thus they aimed to change contemporary doctrines to fit their idea of the "true gospel". The Protestant Reformation is so called because the movement's leaders "protested" against the ecclesiastical hierarchy and the pope, essentially electing to institute their reforms separately from it. The term "Protestant", however, was not originally used by these leaders; instead, they called themselves "evangelical", emphasizing the "return to the true gospel (Greek: euangelion)". 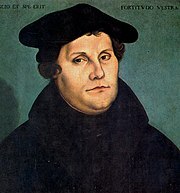 The beginning of the Protestant Reformation is generally identified with Martin Luther and the posting of the 95 Theses in 1517 in Wittenburg, Germany. Early protest was against corruptions such as simony, episcopal vacancies, and the sale of indulgences. The Protestant position, however, would come to incorporate doctrinal changes such as sola scriptura and sola fide. The three most important traditions to emerge directly from the Protestant Reformation were the Lutheran, Reformed (Calvinist, Presbyterian, etc. ), and Anglican traditions, though the latter group identifies as both "Reformed" and "Catholic", and some subgroups reject the classification as "Protestant". John Calvin was a French cleric and doctor of law turned Protestant reformer in the second generation of the Reformation. He published the Institutes of the Christian Religion, in 1536 (later revised), and became a leader of the Reformed church in Geneva, which became an "unofficial capital" of Reformed Christianity in the second half of the sixteenth century. He had great authority in the city and over the city council, such that he has (rather ignominiously) been called a "Protestant pope". Calvin established an eldership together with a "consistory", where pastors and the elders established matters of religious discipline for the Genevan population. Calvin's theology is best known for his doctrine of (double) predestination, which held that God had, from all eternity, providentially foreordained who would be saved (the elect) and likewise who would be damned (the reprobate). Predestination was not the dominant idea in Calvin's works, but it would seemingly become so for many of his Reformed successors. Fascism describes certain related political regimes in 20th century Europe, especially Nazi Germany. When the Italian government closed Catholic youth organizations, Pope Pius XI issued the encyclical Non Abbiamo Bisogno, saying that Fascist governments had hidden "pagan intentions" and expressed the irreconcilability of the Catholic position and Fascism, which placed the nation above God and fundamental human rights and dignity. He later signed agreements with the new rulers of Italy and Germany. Many Catholic priests and monastics were persecuted under the Nazi regime, such as the concentration camp victims Maximilian Kolbe and Edith Stein (Saint Teresa Benedicta of the Cross). Furthermore, many Catholic laypeople and clergy helped in sheltering Jews during the Holocaust, including Pope Pius XII. Various incidents, such as giving aid to downed Allied airmen, nearly caused Nazi Germany to invade the Vatican before the liberation of Rome in 1944. Ecumenical movements within Protestantism have focused on determining a list of doctrines and practices essential to being Christian and thus extending to all groups which fulfill these basic criteria a (more or less) equal status, with perhaps one's own group still retaining a "first among equal" standing. This process involved a redefinition of the idea of "the Church" from traditional theology. This ecclesiology, known as denominationalism, contends that each group (which fulfills the essential criteria of "being Christian") is a sub-group of a greater "Christian Church", itself a purely abstract concept with no direct representation, i.e. no group, or "denomination", claims to be "the Church". Obviously, this ecclesiology it at variance with other groups that indeed consider themselves to be "the Church". But moreover, because the "essential criteria" generally consist of belief in the holy Trinity, it has resulted in strife between these Protestant ecumenical movements and non-Trinitarian groups such as Latter-day Saints (Mormons) and Jehovah's Witnesses, which are not often not regarded as Christian by these ecumenical groups. Fuller, Reginald H. (1965). The Foundations of New Testament Christology. New York: Scribners. ISBN 978-0-684-15532-6. González, Justo L. (1984). The Story of Christianity: Vol. 1: The Early Church to the Reformation. San Francisco: Harper. ISBN 978-0-06-063315-8. Latorette, Kenneth Scott (1975). A History of Christianity, Volume 1: Beginnings to 1500 (Revised). San Francisco: Harper. ISBN 978-0060649524. Latorette, Kenneth Scott (1975). A History of Christianity, Volume 2. San Francisco: Harper. ISBN 978-0-06-064953-1 (paperback) Check |isbn= value: invalid character (help). This page was last changed on 16 April 2019, at 10:34.